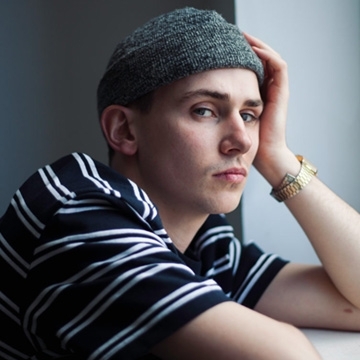 Dublin rapper Kojaque is an artist steadily gaining ground on the Irish and international music scene, thanks to his production style, stunning visuals, and biting lyrics. Co-founder of independent label Soft Boy Records. Kojaque mixes sampling and jazz beats with dynamic, poetic lyrics, showcasing life as a modern Dubliner. An established film-maker and visual artist as well as a musician, Kojaque’s multi-media performances and projects are unlike anything else in Irish hip-hop; brutal, honest, and beautiful at once. With a vast range of work produced both independently and with Soft Boy Records, Kojaque’s influences range from Mf Doom to Stevie Wonder. Kojaque has worked with notable Irish producers such as JarJarJr, Gaptoof and Wastefellow, and his influence on Irish hip-hop is palpable.